Will he be pro-growth or antitrade? Global auto executives don't want to talk much about President-elect Donald Trump and his trade plans. But with billions of dollars invested in Mexican plants and supply chains, they can't afford not to think about what steep tariffs and scrapped treaties might mean for their businesses. Even Canadian parts makers are also deeply embedded in Mexico. The Automotive Parts Manufacturers’ Association recently told Automotive News Canada that 25 Canadian auto parts makers operate upward of 50 facilities in the state of Querétaro, alone. What the auto executives do say in cautious public comments reflects their uncertainty over a novice politician whose campaign promises followed no particular economic philosophy. One week after the surprise election outcome, they were left wondering which Trump will show up on Jan. 20, the pro-growth businessman or the protectionist populist. The stakes are high and growing. Mexico exported a record 2.8 million cars and light trucks last year, with nearly three-quarters landing in the U.S. About 12 per cent of new vehicles bought in the United States last year were made in Mexico. Fields: Healthy economy is the goal. 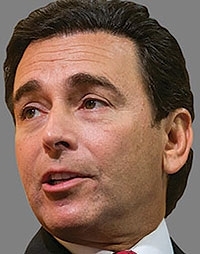 One executive who has been outspoken of late is Ford Motor Co. CEO Mark Fields, whose company was singled out by Trump for criticism during the campaign after it confirmed this year that it was building a small-car plant in the central Mexico state of San Luis Potosi. On the sidelines of the Los Angeles Auto Show last week, Fields said Trump's proposed tariffs on Mexico-made cars would be counterproductive for the U.S. economy as a whole. "A tariff like that would be imposed on the entire auto sector, and that could have a huge impact," Fields said. "I continue to be convinced that the right policies will prevail. I think we all share the same objective, which is a healthy and vibrant U.S. economy." The president-elect appeared to take credit last week for a decision by Ford to keep production of the next-generation Lincoln MKC compact crossover in Louisville, Ky. Ford had considered moving that production to Mexico to make room for more Ford Escapes in Louisville. Ford wouldn't comment on whether Trump played a role. Prior to that announcement, Ford agreed during contract negotiations with Unifor to invest more than Cdn $700 million in Canada, including a new Cdn $613-million engine program in Windsor, Ont. General Motors, which was the biggest exporter out of Mexico last year at nearly 540,000 vehicles, has been more cautious in its comments. "We have a history of working strongly with all the governments around the world," CEO Mary Barra told Automotive News in Detroit last week. Clearly, this is our home country, so we're going to work productively with the administration." Other auto executives sounded similarly cautious notes in interviews last week, saying they were waiting for the outlines of a trade policy to emerge from the Trump camp after months of anti-trade rhetoric. "It depends, in my eyes, on what this administration will really do," said Peter Schwarzenbauer, BMW Group board member for Mini, Rolls-Royce and motorcycles. "Campaign talk is one thing. What you will implement, we do not know," he said, noting his company's recent billion-dollar investment in San Luis Potosi. Matthias Luehrs, vice president of sales and product management for Mercedes-Benz Cars, said the company isn't worried as it prepares to open up a compact-car factory in Mexico that it's building jointly with Nissan. The plant is expected to start producing Mercedes models in 2018. "Number one, we will work with the Trump government as we've been working as a company for the last over-50 years," Luehrs said. "We have invested a huge amount of money in the U.S."
Another German automaker with much bigger exposure is Volkswagen, whose growth plans for the U.S. rely on sourcing components and vehicles from Mexico. The automaker expanded its manufacturing complex in the southern city of Puebla to begin assembling the redesigned long-wheelbase Tiguan starting next summer. VW also imports the Golf, Jetta and Beetle to the U.S. from Mexico. In 2015, Export Development Canada gave Volkswagen a Cdn $525-million loan in an effort to persuade the automaker to increase its Canadian supply base to accommodate its ever-expanding operations in Mexico. Hinrich Woebcken, CEO of Volkswagen Group of America, said global companies are used to shifting political conditions. 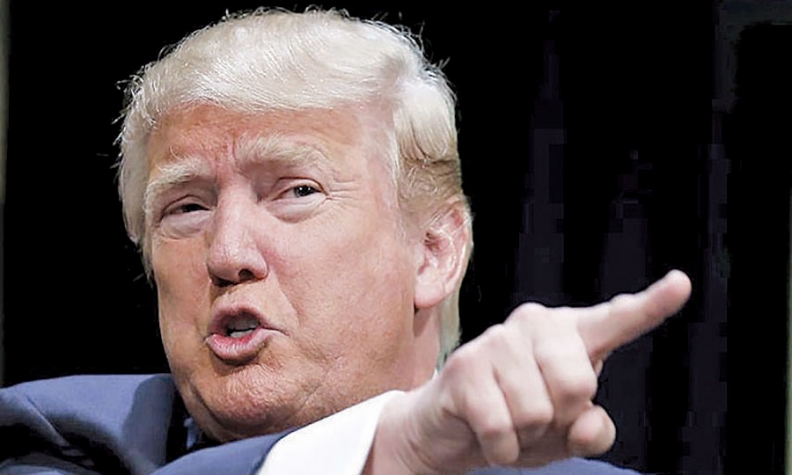 "This decision was made by the American voters, and everybody is respecting this," he told Automotive News of the Trump win. "Of course we will look into all the advantages and disadvantages, but basically our general strategy of investing globally doesn't change because of elections taking place in a particular country." Woebcken cited Trump's softened position on the Affordable Care Act as a sign that other campaign rhetoric could be watered down as well. At this early stage in transition, Woebcken said, "everything is speculation." Bob Carter, senior vice president of automotive operations at Toyota Motor Sales U.S.A., arrived at the L.A. show straight from a groundbreaking ceremony for a Corolla plant in Guanajuato, Mexico. The company also recently announced an expansion at its truck plant in Tijuana. Carter said there's no change in plans for either of those. "It's far, far, far too early to be speculating where the rhetoric goes," he said, but free trade and global operations need to go hand in hand. "It's difficult in this global economy for auto companies to prosper -- and you may even be able to substitute "prosper' with "survive' -- without participating in the global economy," Carter said. Mazda, while a smaller global player, opened a plant in Salamanca, Mexico, in 2014 and depends on that plant for many of the cars it sells in the U.S., including a model it builds for Toyota. It would be deeply affected by tariffs or a pullback in the North American Free Trade Agreement threatened by Trump. "First of all, I think everybody was surprised about the outcome," said Masahiro Moro, CEO of Mazda North American Operations. "Everybody is now looking at what does the future look like. I think it's fair to say that we always support very open, fair trade. In that we see that value. So we will see what's going to happen. Because it is too unpredictable right now." Ryan Beene, Nick Bunkley, Diana T. Kurylko, David Undercoffler and Amy Wilson contributed to this report.